The Oakboro Choice STEM Program is a challenging place for students to learn through problem-solving and real world exploration. The curriculum takes a hands-on approach which allows students to utilize various technologies and problem-solving techniques to solve real-world problems related to their curriculum. 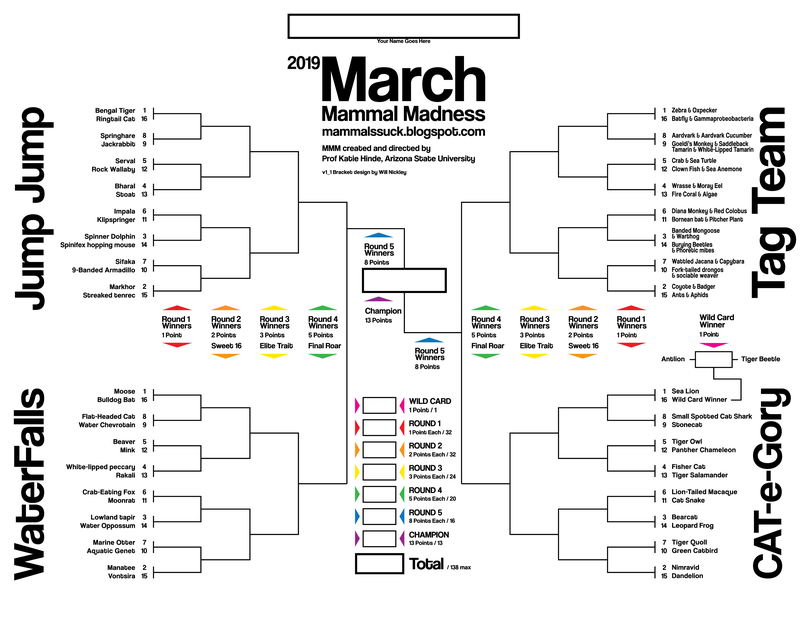 March Mammal Madness 2019 is HERE and we want YOU!!! Which Mammal will reign supreme this year? Which OCSS Family/Community Member will have the winning bracket? It's easy to enter. Brackets are due to Ms. Snyder either electronically or paper bracket by March 11th @ 9am.